2017 was the year when most smartphone manufacturers began shifting to 18:9 displays. 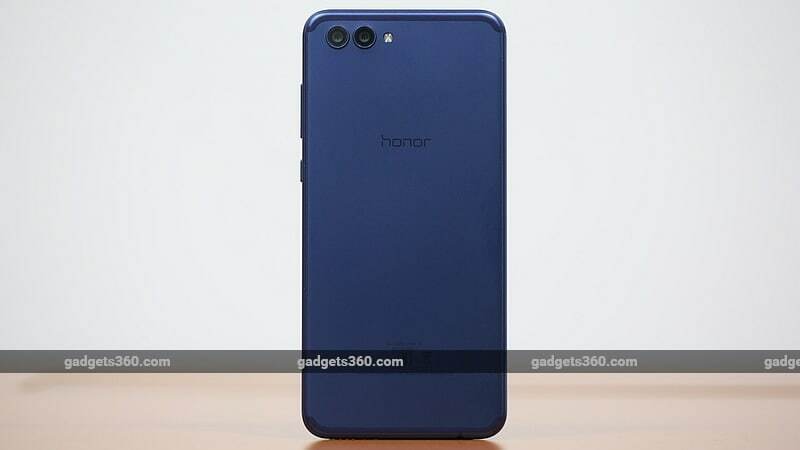 Honor was one such company, launching one phone after another following this trend. We saw the Honor 9i (Review) and the Honor 7X(Review) being introduced in the sub-Rs. 20,000 segment. The company is now targeting a higher price point with its Honor View 10. 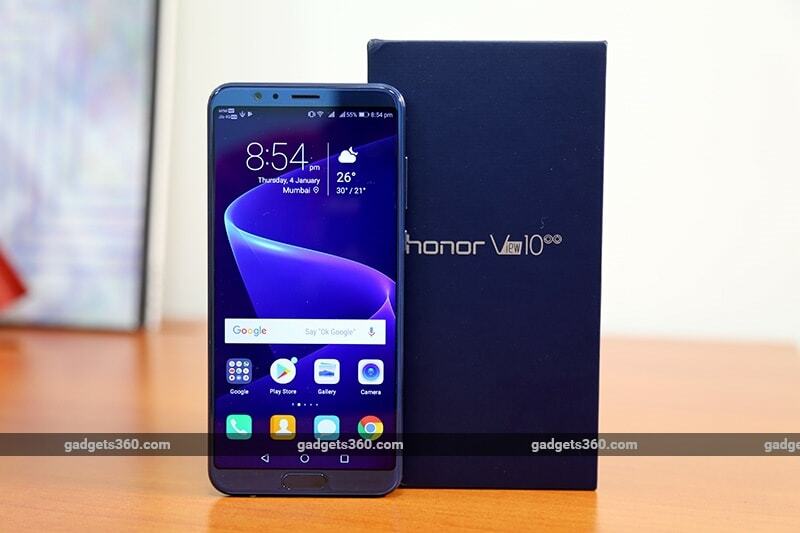 The Honor 8 Pro (Review), its flagship for 2017, managed to shake the market up while competing against the OnePlus 5 (Review). It packed in good hardware and managed to undercut the OnePlus offering on price as well. Now, the Honor View 10 is on the same path, and offerse better hardware to take on the competition. 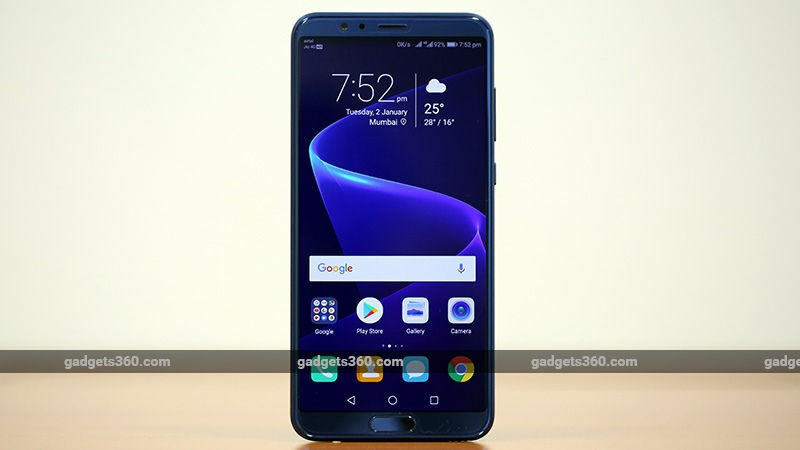 It is powered by Huawei’s latest silicon, the Kirin 970, and has a stronger focus on artificial intelligence with what the company calls a “neural-network processing unit”. Honor claims that the new chip is capable of learning your behaviour patterns, helping you take better photos, and translating multiple languages in real time. So should the View 10 be your smartphone of choice for 2018? We find out. The design of the Honor View 10 is in line with the current market trend of taller screens and narrower borders. It sports a big 5.99-inch display with the 18:9 aspect ratio. It has thin borders on the side and comparatively thicker ones on the top and the bottom. The selfie camera and earpiece grill are above the screen, along with an array of sensors, and there’s a fingerprint scanner below it. Honor offers the View 10 in two colours: Navy Blue and Midnight Black. 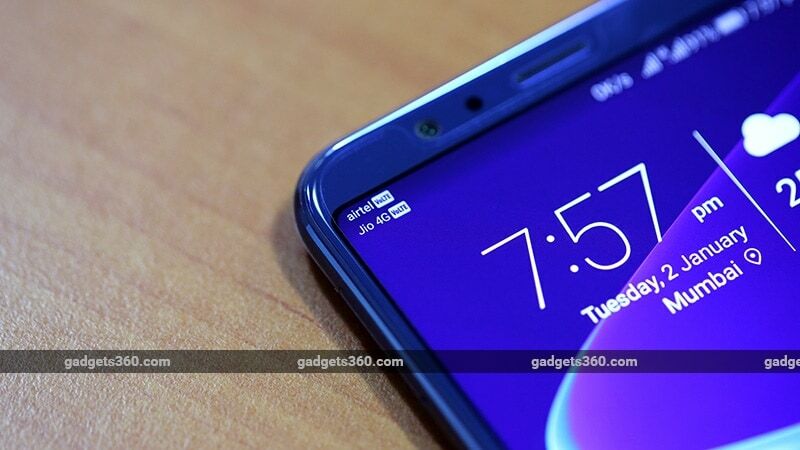 We had a Navy Blue review unit, and it looked somewhat similar to the colour of the Honor 8 Pro. It’s definitely different and eye-catching. The View 10 sports a metal unibody. Its flat back has antenna bands running along the top and bottom. It has dual cameras and a single-LED flash at the back, similar in design to the setup seen on the Honor 7X. The lenses protrude out of the body causing the phone to rock when kept on a flat surface. They both have metal surrounds which protect them but feel rough. The sides are curved making the phone comfortable to hold, although the flat metal back can be a little slippery in the hand. Honor has positioned the power and volume buttons on the right, and while the power button is easy to hit, you will need to stretch your thumb to hit the volume up button. The hybrid dual-SIM tray is on the left. The View 10 sports a USB Type-C port at the bottom along with a speaker grille and 3.5mm headphone jack. At the top, the View 10 has a secondary microphone and an IR emitter that can be used to control IR devices. The Honor View 10 has a 3750mAh battery and supports the company’s own Supercharge standard. Sadly, Honor does not ship the required 5V, 4.5A charger with the phone in India. Instead, you will find a standard charger in the box that isn’t as fast. You get a screen protector pre-applied on the View 10, and a clear case bundled in the box. The View 10 is Honor’s new flagship offering, and like other phones at this price, it is loaded with features. The screen is an IPS panel, measuring 5.99 inches with an FHD+ (1080×2160) resolution. Viewing angles are good and the screen was usable under direct sunlight. We liked the output of the display and the fact that the phone let us adjust the colour temperature. Display modes are also provided, which let you choose between neutral and vivid colour reproduction. The fingerprint scanner below the display is quick to unlock the phone. Honor also claims that the View 10 is capable of using your face to unlock the smartphone, but this feature is not enabled yet. At the time of our review, the Face Unlock feature could only be used to show notifications on the lock screen. Honor told Gadgets 360 that the full feature will be rolled out via an OTA update. The Honor View 10 is powered by a Huawei Kirin 970 SoC, which is an octa-core processor, with four cores clocked at 2.36GHz and the other four clocked at 1.8GHz. The Kirin 970 has a dedicated Neural Network Processing Unit (NPU) which is tasked with handling Artificial Intelligence functions. Huawei claims that the dedicated NPU computes AI tasks faster than the CPU, while being more efficient. The Face Unlock feature and the cameras on the Honor 10 use this NPU. Honor ships the View 10 with 6GB of RAM and 128GB of storage, which is expandable by up to 256GB using a microSD card in the hybrid dual-SIM tray. The Honor View 10 supports 4G as well as VoLTE connectivity on both SIMs, which means that both cards can access their respective 4G and VoLTE networks. With most current phones, only the SIM in the primary slot can access a VoLTE network, but this doesn’t seem to be the case with the View 10. The phone could register our Jio and Airtel SIMs on their respective networks independently. 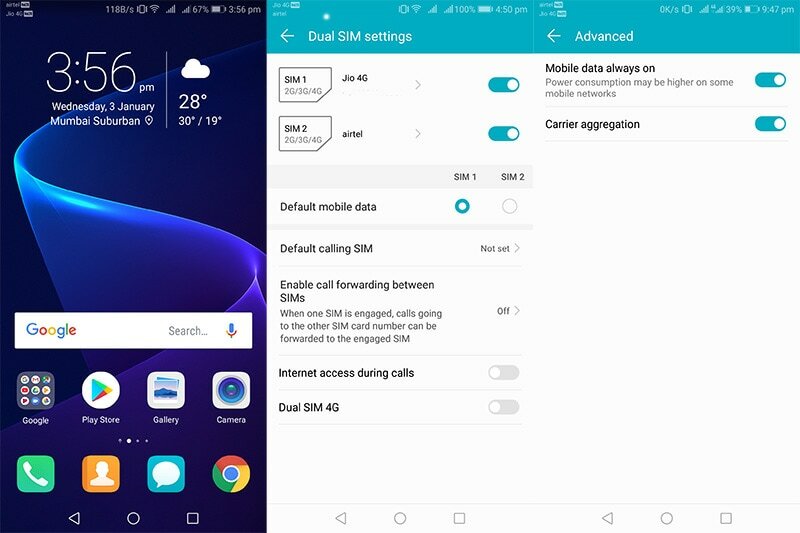 However, this isn’t the same as being a Dual-SIM Dual-Active phone, because when one network is engaged in a phone call, the other SIM is still unavailable to anyone who tries to reach you. Honor has come up with a call forwarding option that lets you transfer calls to the active number automatically. For data, of course, the phone only lets you select a single network at a time. The View 10’s dual rear cameras consist of one 16-megapixel RGB sensor and one 20-megapixel monochrome sensor. 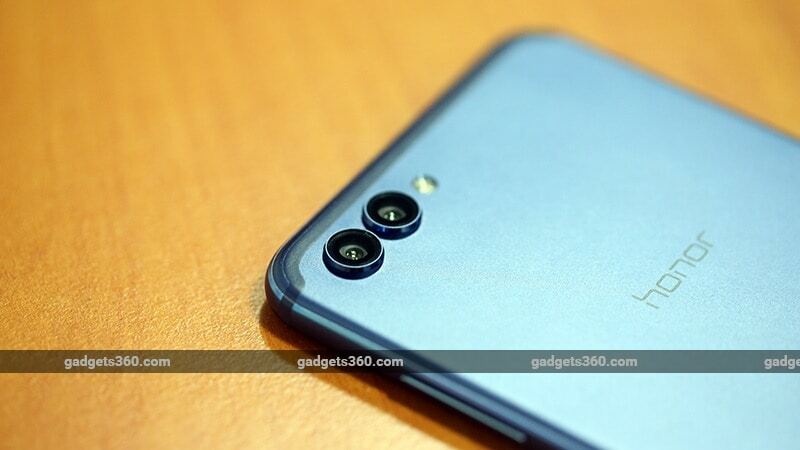 At the front, there is a 13-megapixel selfie shooter that is also used for the Face Unlock feature. In terms of connectivity, the View 10 supports Bluetooth 4.2, dual-band Wi-Fi, NFC, and USB-OTG. For positioning, it has GPS, APS, GLONASS, and BDS. Like all other Honor phones, this one runs EMUI, Huawei’s UI layer on top of Android. The View 10 runs EMUI 8 with quite a few customizations on top of Android Oreo. There is theme support, letting you change the way the UI looks to suit your preferences. Smart gestures help you interact with the phone, such as flipping it over to mute it and picking it up to the screen. Knuckle gestures let you double-knock with one finger to take a screenshot, or two fingers to begin screen recording. You can also launch apps by tracing letters on the screen. If you think this sounds complicated, it is. Honor has crammed in a lot of such features, and while the screenshot gesture was useful, the others felt gimmicky. We also found a lot of sub-menus in the Settings app, and it was sometimes hard to get to a specific setting without using the search function. Honor offers a one-handed mode which is very useful when handling this big phone. You can also opt to disable the on-screen navigation buttons and instead tap, long press, or swipe the fingerprint scanner to simulate the Back, Home, and Overview button actions respectively. While this is fairly easy, we found it less convenient than a similar implementation on Motorola phones. For security, Honor offers a Private Space that lets you have a completely different profile secured using a different fingerprint and passcode. File Safe encrypts files on the phone which can then only be decrypted using an alphanumeric passcode or an associated fingerprint, and App Lock lets you restrict access to apps using a fingerprint. While you won’t have to search for multiple apps to do these things if you want them, learning all the features of this phone can be a little overwhelming. You also get dual app functionality called App Twin which lets you run two instances of supported apps. Honor ships the phone with a few preinstalled apps. Apart from Honor support apps, there are quite a few demo versions of games. To showcase its AI capabilities Honor has also preloaded Microsoft Translator which is not the same as the version available via the Google Play store. While you can chat with other people using text and have it translated on the other end using the regular app, you can also do this with voice on the View 10. It isn’t clear whether this feature is coming to all phones or whether it is exclusive to the View 10 (or other devices with specific capabilities), but we were able to use it with the other party using a Google Pixel 2. It worked fairly well translating between English and Hindi, though context was sometimes missed. Flagships aim to provide the best usage experience, and the Honor View 10 isn’t any different. Huawei’s Kirin 970 processor is quite potent and the 6GB of RAM makes usage quite smooth. Apps launch quickly, and multitasking is easy. The View 10 managed to score 173,982 in AnTuTu, and also scored 1,900 and 6,709 in Geekbench 4’s single-core and multi-core tests respectively. This phone managed to surpass the Google Pixel 2 (Review) while coming within striking distance of the OnePlus 5T. In GFXBench, the phone managed 59fps, and 31,347 points in 3DMark Unlimited. We played Shadow Fight 3 and Clash Royale, and faced no issues with gameplay. Like most other phones with 18:9 screens, many apps and games don’t use all available space and run at 16:9. Honor gives users the option to scale compatible apps to the new ratio. EMUI’s Game Suite feature claims to boost the phone’s performance when gaming, and also suppresses notifications to prevent interruptions and disables the navigation keys to prevent accidental touches. The speaker on the View 10 is loud but is also very easy to cover when holding the phone in landscape mode. Battery life on the Honor View 10 is decent thanks to the 3750mAh battery. We managed to run the phone past one day with light to medium use, and it could manage one day when we included some long gaming sessions. In our HD video loop test, the phone lasted 11 hours, 14 minutes before running out of juice. EMUI has battery saving modes that limits background activity, disable automatic syncing, and more. Ultra Power Saving Mode restricts the phone to only calls and messages so that it can run for significantly longer. Just like the Samsung Galaxy S8 and the Samsung Galaxy S8+, Honor lets you lower the resolution from FHD+ to HD+ which should be beneficial to battery life. It also has a smart setting which automatically switches resolutions based on what you are doing with the phone. 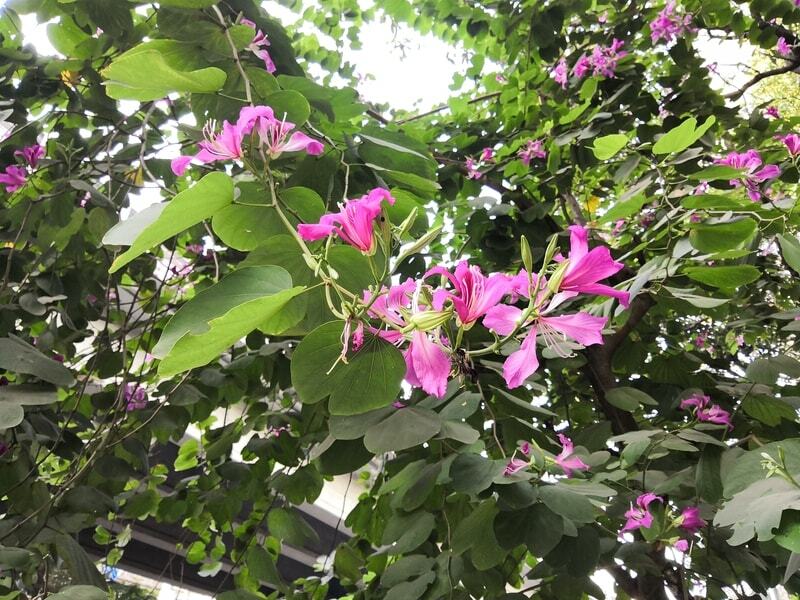 Other than face recognition and the translator app, the cameras are where the Honor View 10 puts its NPU to use. The camera app will seem familiar if you’ve used other Honor devices, but look deeper and you’ll see that there are more options and an AI-powered scene detection mode. The View 10 uses the NPU to try and understand subjects in a frame and then use the best possible settings according to its algorithms. We found the AI-powered auto mode to be accurate and fast enough to set the scene up before we hit the shutter button. There’s an Artist mode that lets you apply filters before taking shots. Monochrome mode utilises only the 20-megapixel monochrome sensor to take photos, and the AR mode applies effects after detecting faces. There is Pro mode for photos and videos that lets you manually set different parameters of the camera. Photos taken with the View 10 are good in daylight when the lighting is favourable. Landscapes are good and colour reproduction is fairly accurate. Objects at a distance do lack detail, but macros are far better in comparison. The camera is quick to lock focus and captures details very well. 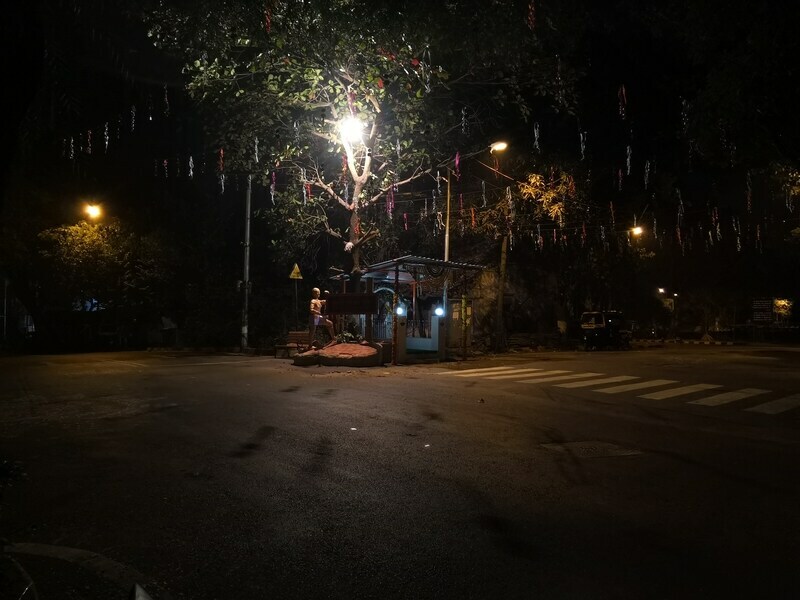 The View 10 does detect specific subjects such as plants and animals rather than just conditions such as low light, and the resulting settings are fine. However, there’s no way to turn this off to gauge how much of a difference it really makes compared to standard scene detection that many other phones offer. In low light, the View 10 managed to surprise us in a few shots. It was able to capture good details and handled noise fairly well. 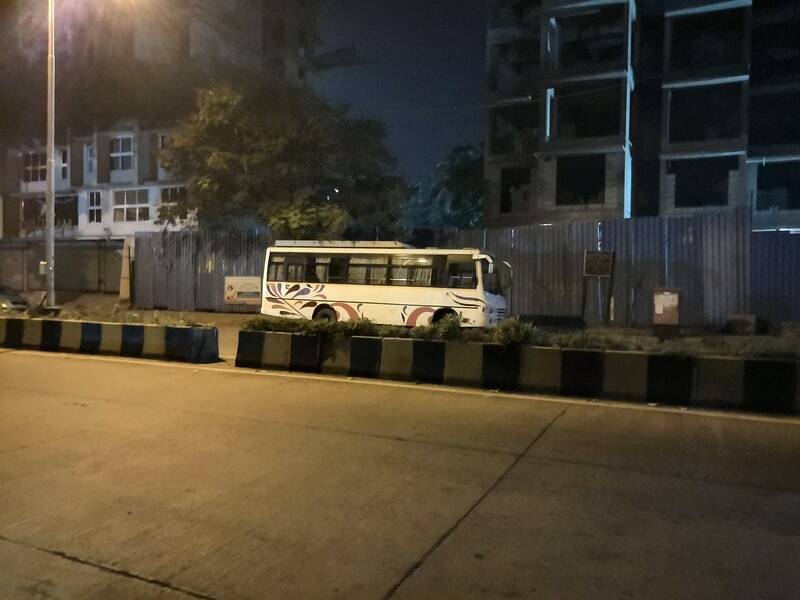 If the light source is far away, the camera is quite aggressive with noise reduction, which results in loss of detail. Selfies are usable, and can be enhanced using the beautify mode. Most of the time, the portrait mode worked well in blurring backgrounds and making subjects stand out. If there are multiple faces in a frame, the phone attempts to leave all of them unblurred regardless of depth, which looks extremely artificial. Video recording maxes out at 4K for the rear camera and you do also have the option to shoot at 1080p at 60fps. The front-facing camera maxes out at 1080p but if you want beautification mode enabled on video, the output is restricted to 720p. Also, we couldn’t find any video stabilisation options on the phone so you will need to have a steady hand while recording. American Lee Harvey Oswald and his Russian wife, Marina, pose on a bridge walk in Minsk during their stay in the Soviet Union. This is a 1964 handout photo from the Warren Commission. 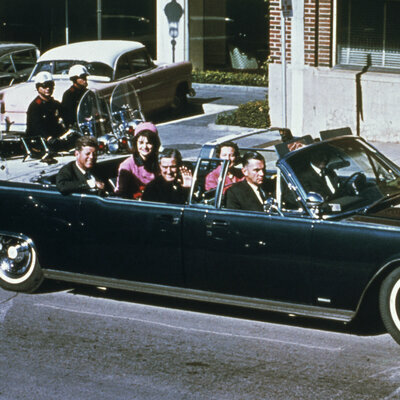 Was the Soviet Union involved in the 1963 assassination of President Kennedy? 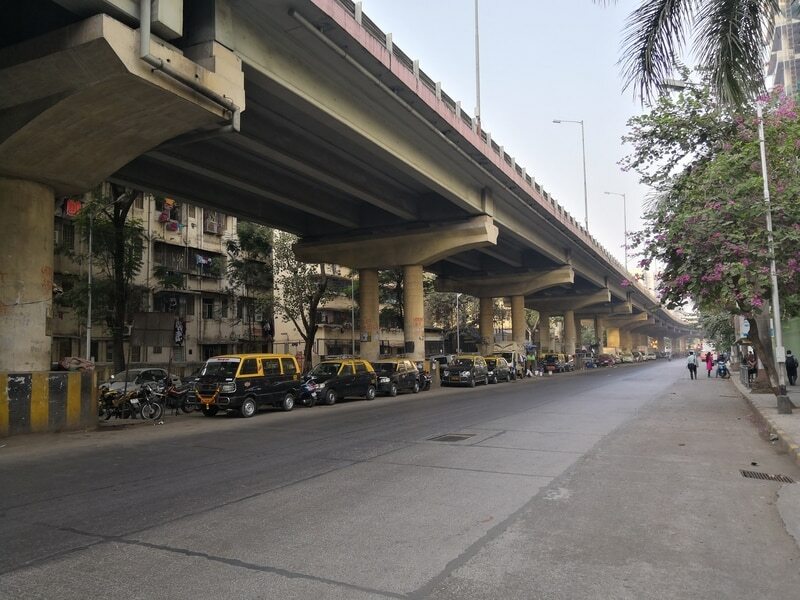 Given Cold War tensions and the fact that shooter Lee Harvey Oswald had defected to the Soviet Union and lived there in the years leading up to the assassination, it’s a question that has long intrigued even the mildly conspiracy-minded. 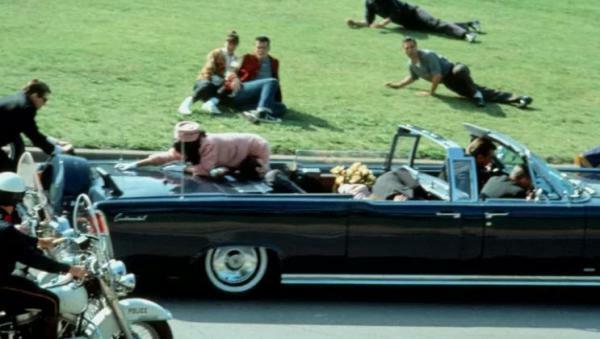 Some 2,800 documents released by order of President Trump on Thursday provide some possible insights into how the assassination was viewed inside the Soviet Union. That reaction appears to have been one of genuine surprise, as well as concern inside the Communist Party that the killing of Kennedy might be part of a larger right-wing coup to take over the U.S. government. Oswald, a former U.S. Marine, went to the Soviet Union in 1959 and married there. Apparently disenchanted with Soviet life, he returned to U.S. soil less than two years later after apparently trying to commit suicide. In a different memo, this one from the CIA Director of Security to CIA Headquarters, originally classified “Secret” and dated March 11, 1964, refers to a George M. Lesnik, a former KGB agent who was in Moscow on the day of the Kennedy assassination. After hearing the news, he “dashed to his office” to look at Oswald’s file. “When he found the file he reviewed it and found that Oswald had not been used or even approached for use by the Russian intelligence.” Lesnik claimed that he then called others in the KGB who said they were unaware that Oswald had been cultivated in any way before returning to the United States. On August 21, North America will experience the first total solar eclipse visible across the continent in nearly a century–and, while it may seem illogical, this period of semi-darkness is an important time to practice sun safety. That’s because while during an eclipse, you won’t want to tear your eyes away from the show, staring directly at the sun can lead to solar retinopathy, a condition where light floods the eye’s retina. In 1999, 45 patients visited an eye clinic in Leicester, England, after viewing a solar eclipse without proper eyewear. About half of the patients suffered from eye pain; the others reported impaired vision. Although these eclipse watchers were not totally blinded, several incurred long-term damage. The United States hasn’t experienced a total eclipse since 1979, and that one only passed over a small swath of the Northwest. This year, in contrast more than 500 million people in North America, plus parts of South America and northwestern Europe, will be able to see at least a partial eclipse. Those within a 70-mile wide pathbetween Oregon and South Carolina will witness a total eclipse. 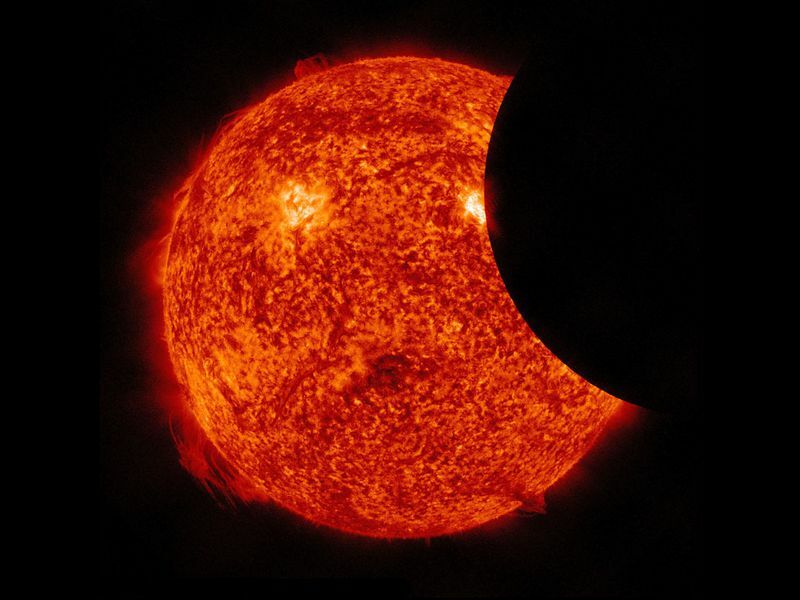 A partial eclipse occurs when the moon blocks part of the sun from view. 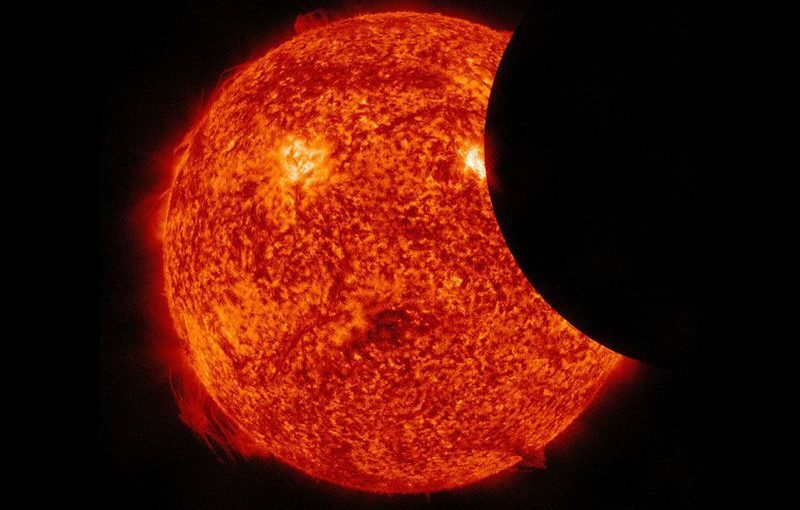 A total eclipse, in contrast, is when the moon completely blocks the sun. “Totality,” the part of the total eclipse when the sun is completely covered, lasts only around two minutes. To view the solar eclipse, you’ll need proper equipment. It may seem odd to don protection in the semi-darkness of a partial eclipse, but staring at the sun can cause retinal injury. The only time it’s safe to look at the sun without protection is during totality. Keep your equipment on hand, and put it back on when the sun starts to reappear. Opt for gear featuring ISO-approved solar filters, which are about 100,000 times darker than everyday sunglasses. The American Astronomical Society’s website includes a list of manufacturers that have certified their products meet the ISO 12312-2 standard. If you purchase equipment from other outlets, double check that their merchandise meets ISO standards. Whether you’re a stargazing neophyte or dedicated astronomer, this gear will help you make the most of a spectacular event. Eclipse glasses look like hybrids of 3-D movie glasses and sunglasses. As Guhathakurta explains, these glasses have the added protection of a solar filter. Whereas sunglasses only block UV rays, eclipse glasses also cut off visible light. If you’re a casual observer or part of a large group, you’ll like these glasses’ low prices and bulk packaging. You can buy a pack of five paper glasses from Rainbow Symphony for around $12. If you want a sturdier option, try these plastic glasses from American Paper Optics. And feel free to go for style: TSE17 has a $5.05 stars-and-stripes five-pack, and American Paper Optics features everything from Bill Nye glasses to astronaut-themed frames. Looking for something between basic glasses and high-tech binoculars? Check out this handheld viewer from Celestron. 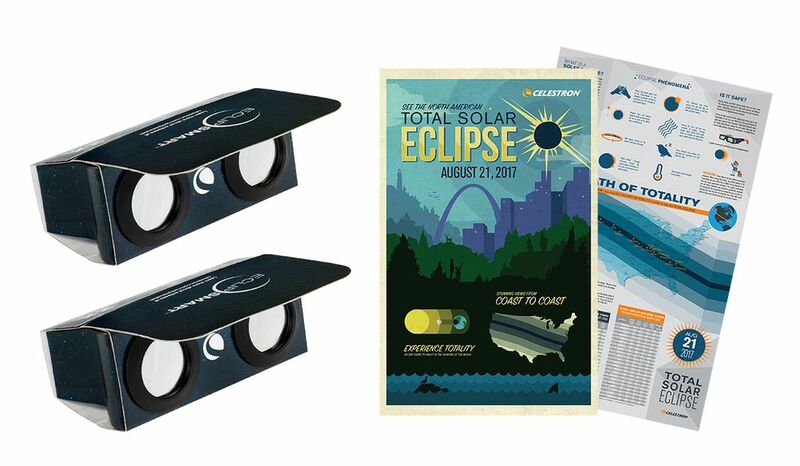 For $9.95, you’ll receive two viewers with 2x magnification capabilities and a pocket eclipse guide. Binoculars and telescopes are pricier than eclipse glasses and handheld viewers but can be worth the investment. They feature a higher magnification, but higher magnification results in a shakier image––as power increases, the equipment becomes more sensitive to its holder’s small hand movements. Binoculars are rated with two numbers. The first number is the magnification, the second is the aperture—the diameter of the front lens, measured in millimeters. If you’re buying a pair of binoculars and plan to use them for other astronomy viewing, the bigger the aperture, the better, but bigger lenses also mean heavier equipment. The following options offer a range of viewing strengths. Celestron’s EclipSmart binoculars feature non-removable solar filters, so you’ll only be able to use them for solar viewing. A 10×25 pair (10x magnification and 25mm aperture) costs around $35, while a 10×42 pair costs just about twice as much. A cheaper option is Lunt’s mini SUNocular. A 6×30 pair costs $29.95. If you prefer binoculars with removable solar filters, Meade has a $69.99 10×50 pair that works for both solar viewing and nighttime stargazing. Once you remove the solar filters, the binoculars will operate like a normal pair. Telescopes offer some of the best eclipse views, but you’ll pay more for added detail if you want an advanced model. A basic lightweight option is the Explore Scientific Sun Catcher 70mm telescope. It costs $59.99 and can be used during both the day and night. A more advanced option is the $99.95 Celestron EclipSmart telescope. It offers 18x magnification, 50mm aperture and non-removable solar filters. 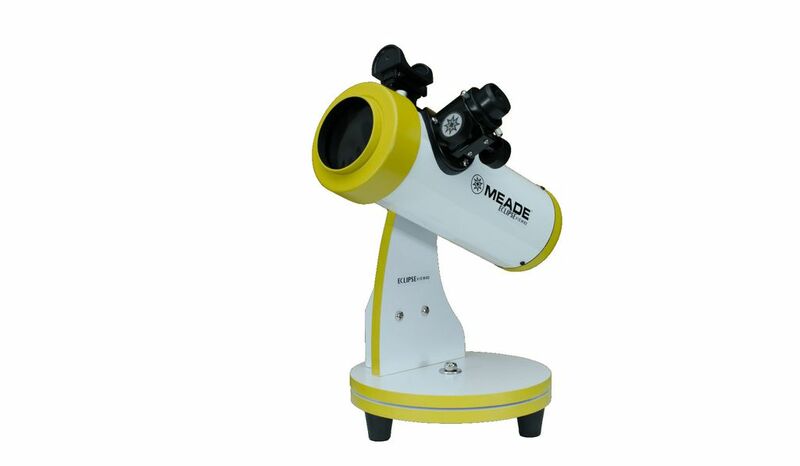 Another choice is the Meade EclipseView telescope. The cheapest model is a $79.99 82mm reflecting telescope designed for on-the-go use. A sturdier long-term bet is the 76mm reflecting telescope, which costs $129.99. Both models feature removable solar filters and are suitable for solar and nighttime use. Another category of eclipse viewing gear is add-on filters. These can be attached to binoculars, telescopes and cameras not originally designed for solar viewing and are mainly used by experienced observers. Similarly to eclipse-specific gear, add-on filters prevent retinal damage. They also protect your equipment’s optics from the heat of the sun, as the intensity of an eclipse can damage gear designed for nighttime observing. Filters are typically made of metal on glass (sturdy but most expensive), aluminized polyester film (also known as Mylar) or black polymer (also used in eclipse glasses). Rainbow Symphony sells black polymer and silver Mylar filters starting at $19.95. Thousand Oaks Optical and Orion offer higher-end filters ranging in price from $22 to $150-plus. If you want to view the eclipse without spending money on special equipment, you’re in luck. Stand with your back to the sun, and use your hands, a hole-punched index card or even a patch of leaves to create a tiny opening. As sunlight flows through the empty space, an image of the sun will project onto a nearby surface. For more detailed instructions, visit the American Astronomical Society’s pinhole projection page.